Leading dental specialists and bio-dentistry experts ensure personalized attention, customized treatment plans and the best possible care at the best prices. We’ve assembled a team of some of the best cosmetic dentists, dental implant specialists, maxillofacial surgeons and full mouth reconstruction leaders in the nation. No need to travel across town to see a specialist. At Goodness Dental, the specialists come to you! Lifetime Guarantee on Dental Implants. Dental Financing: We help American patients get financing to cover the cost of your dental care. Dental Implants: Dental Implants with a Lifetime Guarantee! US Owned & Managed: Goodness Dental is owned by American businessman Patrick Goodness and managed by respected US Dentist Dr. Peter Aborn. 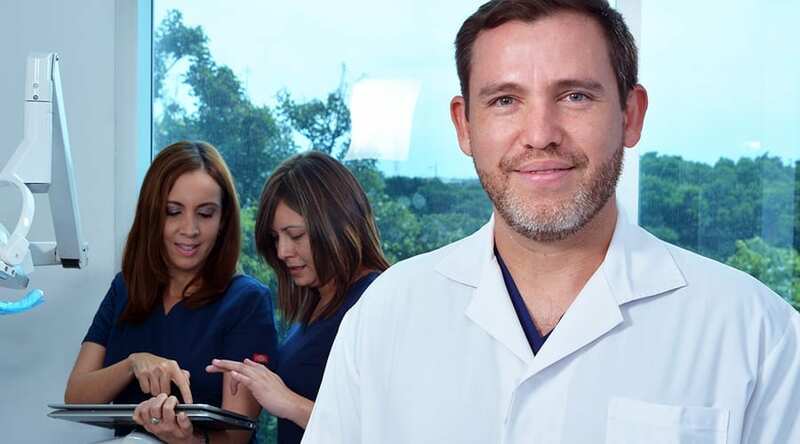 Dr. Aborn is a licensed US Dentist who is also licensed to practice in Costa Rica. With a career spanning more than 40 years, Dr. Aborn trained at NYU and practiced for more than twenty years in New York. Dr. Aborn has a distinguished history that includes active service as a US War Veteran. Free Airport & Clinic Transportation: We’ll pick you up at the airport and will arrange transportation to and from the clinic to your hotel. Competitive Prices: Goodness Dental offers guaranteed quality, affordable pricing and US standards. We won’t ever tell you that we have the lowest prices. You can’t hire leading specialists and use the highest quality materials and still offer the lowest prices. While our prices are always affordable, we focus on providing our patients with the best possible care using the best technology and the highest quality materials. Lifetime Guarantee on Dental Implants: We exceed ADA guidelines by offering our patients a Lifetime Guarantee on top-rated dental implants. If for any reason your dental implant should fail, we’ll replace it for free…for life! Compare our guarantee to other competitors and see why Goodness Dental is Costa Rica’s best dental team. Goodness Dental is Accredited and ranked as the #1 Dental Clinic in Costa Rica by Global Clinic Ratings (GCR). Your message has been sent to the dental clinic as requested. The personal and professional treatment I received from these amazing people was above and beyond the call of duty. I left not only with a perfect smile and my confidence back, but a sense of family. From beginning to the end, they were exceptional in every way. Beautiful new state-of-the-art facilities, always a warm friendly greeting and care like you’d expect from your Grandma! I will forever be grateful to each and everyone at Goodness Dental, the name says it all! My husband just completed Phase II of III of total dental reconstruction at Goodness Dental. We could not be more pleased with the results so far and anticipate total perfection upon completion in October. The facilities are new and sparkling clean. The dentists and staff are superb and each with excellent credentials. Their warm, thoughtful, and kind personalities make it a pleasure to be in their company. Treat yourself to the very best dental experience possible. You cannot go wrong going to Goodness Dental in San Jose, Costa Rica. It was exactly as was promised and what I expected. I remember this level of patient care in the United States, unfortunately it was decades ago. Today you feel like a number, not here. The staff is very professional and I would recommend Goodness Dental to anyone. Completed phase 2 of total restoration today and totally pleased with results and care given. 5 star team! Thank you Goodness Dental for making a complicated situation simple. There is always a solution to a problem and my team created that solution. Dr. Andreas’ patience was kind and never ending (even after biting him, on accident of course!) Dr. Karen was always present and full of honesty, thank you for working with me. I look forward to coming back to finish the masterpiece. Gracias! This place was by far the most caring and considerate place we could have ever been. My husband had major work to be done and we received excellent professional care. From the first contact with Peter Aborn to the airport, hotel, clinics and hospital, every staff member made my husband feel as if he was the number one priority of the day. They use all the finest technology and the work is first rate! We can’t say enough about Sue, Karen, Fernanda, Andres and the entire team Patrick Goodness has put together to insure such wonderful care. Everyone of these people called at one time or another to check on my husband. You don’t get care like this in the states! The hotel that they have medical discount with made us feel like family and they were here to take care of us during my husbands healing time, and they did. Very welcoming, the staff here are very professional and very welcoming. Their command of the English language is very good – important to me because my Spanish is muy mal! Prices on crowns about 1/3 of Boston. Massachusetts; pricing and quality is better. The price I paid for the crowns allowed me to have a vacation including flight for free. Highly recommend. They also picked me up from the airport and my hotel for no extra charge. Karen also did some work on my teeth and is also the best! This is now my second visit. I came for my crowns over implants. It was a great experience with Goodness Dental! Everything went very well and was exactly as suggested. I also feel like I have made some very good friends! My mouth was a MESS!! Decay everywhere. I flew to Goodness Dental in Costa Rica for implants and crowns because in the USA you will pay as much as 70% more!! The quality is incomparable. Goodness Dental is a team of dentists, prosthodontists, endodontists and an oral surgeon that work together like a fine tuned Bentley engine… I LOVE Goodness Dental. My smile is so BEAUTIFUL now. I look like a TRILLION dollars. I feel so BLESSED to have found Goodness Dental. If you don’t come to Goodness Dental in Costa Rica you should never smile next to me …you will be so jealous…GOODNESS DENTAL works together out of the GOODNESS of their hearts….. The “TEAM” at Goodness Dental is actually a “Team”. They look after you from start to finish. I came for one implant and will be back for others because they do FANTASTIC work. You need to come to Escazu, Costa Rica and experience perfection! The goodness dental clinic is the best dentistry I’ve ever had! and I’ve had quite a bit of dental work in my life. I went there for implants and needed to have bone graft sand sinus lifts its been painless and the people here are lovely I can’t wait to come back. Very good experience. All the doctors and staff were very pleasant, professional and helpful. Great communication. They didn’t suggest work for you that wasn’t needed. Clean facility in a great area. Price is unbeatable. I will be back in September for my implants. I recommend ANYONE to come to Goodness Dental to have dental work. 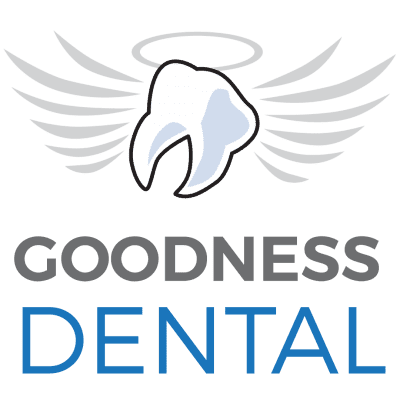 Goodness Dental formulated a plan to restore my missing teeth. They quoted a price. Did the work and i could not be happier with the results. Karen Yurell was very clear about each step and made sure I understood what was going to occur. Everyone involved in my care very impressive, professionals. I would recommend Goodness to everyone. I can’t wait to see my friends in the clinic in just few months!! Come here if you need all kinds of dental work done! We put off having dental work because we couldn’t afford the prices in U.S.
My husband and I had multiple procedures (including crowns and implants) and the team of dentists and support staff is the BEST! Everyone is professional, friendly, and really walks you through every stage of treatment. Goodness Dental helped us with everything from hotel arrangements to transportation (including airport transfers and all appointments-they make it so easy!!). Escazu, the area where the office is located, is fun to walk around with lots of great eating places and shops. I was never a big fan of going to the dentist, but I’m a big fan of Goodness Dental! The doctors at the clinic were first rate and very accommodating to my needs. I received a full mouth restoration and was very pleased with the end results. My wife also received dental work. I would recommend the doctors at the clinic for all dental work. This is my eighth day at the good ol’ dentist in Costa Rica and I’ve had an amazing experience. I’m so thrilled with what I’ve had done so far. I have to come back in six months, but everything was awesome! Dr. Andrés – I’m in love with him…he’s amazing! Karen, Sue, they were all just so amazing. I can’t wait to come back. They are the nicest people that ever had the pleasure to working on my teeth and I was afraid of dentist. The doctors have all been very nice and qualified. I will come back Costa Rica just to see them. I recommend Goodness Dental for any dental work. They are very thorough, professional and considerate. I highly recommend Goodness Dental. Great service. Picked me up and delivered me back and forth no driving. Friendly people, nice friendly country, excellent service, gave me my teeth back for a reasonable price. Completed implant procedure and am completely satisfied with the results. I received excellent care during the entire 4 month process. All personnel involved were highly skilled, compassionate, and professional. I highly recommend Goodness Dental for implant surgery. My experience at Goodness Dental has been, exceptional in every way. Communicating with Sue over email made the entire experience easy, efficient and pleasant. Peter Aborn called me and talked with me for nearly an hour about my teeth. That’s never happened to me in the U.S.A.. Once I arrived, I was impressed with the facility, the technology and most importantly, the staff. They are kind, intelligent, meticulous professionals and almost all of them speak perfect English. I had to bring my 3 year old daughter to two appointmenst and the staff played with her and kept her entertained while I had my teeth. worked. on. The staff listened to my thoughts and requests about the procedures which I really appreciated because I feel like my dentist in the U.S. doesn’t listen or even ask me what I want. The prices were astonishingly low compared to what I was quoted by my regular dentist and the final results exceeded my expectations. I’m already recommending Goodness Dental to my friends and family and other travelers that I’ve met here while vacationing in Costa Rica in between appointments. I couldn’t be happier with my decision to get my dental work done here! I like it here at Goodness Dental. They were great to help out in every way, they even sent a driver for me every time I needed one. The surgeon was an absolute expert he got my surgery done in about 2 hours and 45 minutes. I felt better immediately after the surgery, I had a lot of infection in my teeth. After they installed my temporary teeth, they kept working with me until they got the teeth to function correctly. I recommend for people to come here from the United States or anywhere else; to have their dental work done. You are definitely in good hands at Goodness Dental in Costa Rica. See you in a few months, my new friends in Costa Rica! Everyone is so nice. You couldn’t find nicer people. They will all help you with any question you have. They are all specialist and speak very good English. I am a rarity because my first implants failed. When we came back for the second phase they were very good in that they did the best to make it right with no additional charge. Now I will come back in 6 months and do the second phase. I am well pleased. Folks at Goodness Dental were very accommodating and also very professional. Everyone knew answers to all questions I had and the anesthesia was very well applied. The suggestions made proved useful. The prices are very reasonable, especially compared to anything in the US. If you have AETNA insurance, you can get 1/2 paid from your payments after the work is done. I highly recommend Goodness Dental in Costa Rica – Great staff, very professional, very caring. A huge thanks you to Dr Karen-Dr Aborn, Dr Andrés, Dr Josué… to all staff, to everyone in Goodness Dental! You get to take a holiday in beautiful Costa Rica and save over 50 or 60% of the cost of Dental Care in Canada. I look forward to coming back to Costa Rica in 6 months to receive my permanent bridge and seeing my friends – especially Dr Karen and Dr Andrés. My experience with Goodness Dental has been great. After I contacted Goodness Dental Clinic via e-mail, I received a call from Dr. Peter Aborn within 24 hours. After speaking with him several times and many questions, I knew I was going to Goodness Dental in Costa Rica. I set up my first appointment and they met me at the airport and took me to my hotel and then the Clinic. That alone took a lot of stress off of me to not worry about my transportation. The first person I met was Dr. Karen and her entire staff. They all were so friendly and helpful and made my day. My first treatment was an Extraction and Bone Graft and then three implants. Everything went great and I will return in four months for the finished work. I also will have three more implants and a sinus lift at that time. Dr. Jose did a great job on my implants. Anyone needing dental work who can’t afford prices in U.S., I highly recommend Goodness Dental. There are two reasons that people come to Costa Rica for dental care. They know that the quality of care is up to U.S. standards in most cases and that they will pay anywhere from 25% to 50% of what they would in their home country. At the clinic I was greeted as if I was a returning war hero. I was given a great cup of coffee and then went into consultation with Aborn and Dr. Karen Yurell, the primary care coordinator after they had spent about a half hour reviewing my case. They reviewed my x-rays and then presented me with their findings, options for treatment and a print out of details, including cost. Initially, I was planning on one root canal and a crown at $900, not the $3500 quoted by a U.S. endodontist. I ended up with three root canals (two new infections revealed in x-rays), one crown and two posts at a cost of $2300. The U.S. cost for that work would be in the range of $6000-$8000. Almost all of the work was done as I sat in the chair for 4 ½ hours. It was fairly pleasant and the equipment and facilities were of the highest standards. Aborn told me they use U.S. materials, follow U.S. protocols and OSHA infection control standards. Dentists keep a busy continuing education schedule. Most dental travelers plan trips to Costa Rica of 7-8 days to have their work done. The clinic can do full mouth rehab, including 20 crowns, in two weeks. I had a very nice experience here at Goodness Dental. Everything was as presented. The staff here is very helpful and very nice! I recently had treatment at Goodness Dental. They were amazing 5 stars *******. They were friendly, courteous, and professional. The best treatment and amazing follow through. They are concerned with your well being after the procedures are done. I highly recommend them and will use no one else. Their services and kindness were worth the sixteen hours of airplane travel. I will be back. What can I share with you? My experience with Goodness Dental thus far has been nothing short of stellar. From the initial arrangements out of country, to my reception here, to the work done, the entire staff has been both professional and kind and caring. I feel it necessary to state that my case is likely fairly extreme in nature. My teeth were horrible.., my mouth was in need of a full restoration. And they pulled it off! I have to return in 4 months to finalize the procedure and I’m looking forward to it !! Now I have a dental family here. Excellent all around! I could not ask for better service! After receiving three estimates for total mouth restoration in the United states I decided to check out the services in Costa Rica and I can not be more pleased with the excellent care I received. The hygiene of the facilities, the clinicians and the price were remarkable. This was the best decision I could have made for my new smile. The staff is very personable, knowledgeable and really concerned for your well being and care. I recommend most highly! Complete restoration. Still recovering and learning about my new dentures – I received the all on five upper and lowers. The service to date has been professional and personable. I am looking forward to my final visit in April 2018. I am very satisfied with the attention and care I received and I can say this office is like no other. Dr.. Aborn and his entire staff are professional and personable. I look forward to phase 2 of my treatment. After a thorough examination and a pano and CT-scan, the very professional staff (all female) showed me what they found in their examination for phase 1 of getting implants of which I needed more than anticipated. (Nov. 2017) They took great care in explaining all the procedures and potential pitfalls and did not pressure me in any way to do this if I did not want to. We already have set our phase 2 visit for getting crowns. My wife and I chose Goodness Dental after researching where to find the best and most affordable dental care in Costa Rica. We hit a home run! The helpfulness of the Doctors and everyone on staff is incredible. From the minute we arrived in Costa Rica we were in good hands. After our initial exams and x-rays, they explained our treatment plans and extra effort was put in making certain we understood every aspect of the plans. The professionalism of the entire staff is without equal. We leave Costa Rica knowing that when we return for Phase 2 of our plans, and a phase three in my case, that we will be met by the same incredible Doctors and specialist. When all is done, we will both have the smiles we have been waiting for. I would recommend Goodness Dental to anyone seeking a high level of service, expertise and personal care . This is absolutely the best place in Costa Rica, or even the world, to have dental work done. They actually make going to the dentist a pleasure! They are experts at what they do, their prices are significantly less than in the US and they have become like family! Everyone there is very caring and kind. My husband and I are both very pleased with the work they have done on our teeth and highly recommend it for everyone. And at the same time, you get to see a beautiful country! I came to Costa Rica, with teeth that were aesthetically awful, pain and missing teeth. I met with the most wonderful Goodness Dental staff that examined my teeth and evaluated what needed to be done. They had great patience, knowledge, empathy and they created my new smile. Olga Lidia and I absolutely loved dealing with everyone at Goodness Dental. We arrived on Friday October 18, 2007 and we met all of the staff the very next morning which is when Olga started her treatment. We really have to tell you that there is nothing comparable anywhere else, USA included! Sunday morning we started at about 8:30 am, she had 4 surgeries with general anesthesia. She came out of surgery with no pain and smiling. They had been in constant touch with us at home and while we have been here. I also had a deep cleaning a mouth guard for teeth grinding and a small cavity under the gum. Awesome work to everyone at Goodness Dental. Staff is great – picked me up and delivered me back every appointment. Fast and friendly, great doctors, the price is right. I didn’t have to sell my house to get a new set of teeth! Thank you, Goodness. I’ll be back! How do I write a review about a company that has changed my life? That is exactly what GOODNESS DENTAL did for me. After years of watching my teeth decay and crumble apart because of several medical conditions, the search was on. Little did I know that the cost of dental implants would be so high in the United States. Getting the insurance to help…yeah right?!? We said DENTAL TOURISM is out of the question as I have way too many health issues to consider doing that, however we got to the point when we had no choice. When I found Dr. Peter Aborn, I immediately connected with him. Learning about his experience in the US, being a dentist in the army, teaching, and the volunteerism he did for the indigenous people in Costa Rica. This is the kind of person that I want to give my business to. Knowing that they use the newest technology available, and knowing that the doctors come to the US to train was also very comforting to me. The entire staff at Goodness Dental was working on my case well before we went down. We found everyone at Goodness Dental to be true professionals. They took the time to answer my questions, and explain everything making us feel comfortable and confident in our decisions. They are definitely experts in what they do! Everyone at Goodness Dental is so friendly and caring and they go out of their way to make me comfortable and relaxed. They care about every patient, and do everything they can to help them achieve a beautiful healthy smile. They truly do make you feel like family. Staying at the Apartotel & Suites Villas del Rio was the perfect location to recover from surgery. This was also a good spot for Goodness Dental to provide rides to and from my appointments. Carlos and Diego, Peter, Karin, Stephanie, and the entire staff, THANK YOU from the bottom of my heart. Being a complicated case, and every thing that could go wrong, did, your skill and experience got us through. You have made me smile again…and that makes me happy. I am looking forward to my return trip, in six months, for the final phase of this journey. Going to a warm climate during a harsh New Hampshire winter…oh yeah, sign me up! There are no words to describe how thrilled I am with the results. I finally have the smile I always wanted, and that is just with my temporary teeth, I can just imagine what it will be like after my next visit. If I could add more than 5 stars, I would! My experience was superb. The office was easy to locate, Very clean. All staff professional. The dentist spoke great English and explained procedure clearly. I was given personal cell number to contact with any concerns. and when I did call on a sunday the doctor answered all of my questions, arranged for an follow up appointment on my time frame. He was professional , compassionate and highly skilled. I will return again for additional work and will recommend the clinic to others.!!!!!! The treatment and care was outstanding. First I must compliment Nelson Ruiz owner of Casa Lima where I stayed. Nelson Provided all necessary transportation and assisted with language issues at the medical facilities I visited. Additionally, the staff at Casa Lima accommodated my meal requests before and after the surgery. The treatment, surgery, implants and temporaries, was professionally performed. Dr. Julian Sesin, who performed the surgery was great. He was extremely competent and most considerate of my condition throughout the procedure. Dr. Daniel Alfaro took impression and installed the temporaries. Both doctors went out of their way to do the follow up adapting to my travel schedule. I cannot say enough about these men; they are highly skilled and demonstrated great compassion throughout the entire experience. Dr. Karen Yurell who coordinated the work was a pleasure to work with. She has a wonderful personality and her positive attitude contributed to the success of the procedure. It is now several days after completion and I have no pain or swelling. The process has been a total success and I highly recommend Goodness Dental for implant surgery. I have had a very positive experience with everyone at Goodness Dental. very professional and clean office. everybody is so friendly, goes out of the way to make you feel very comfortable. also, everyone speaks english very well, so there is no problem in communication over the dental plan. they make sure you understand everything before proceeding. I highly recommend Goodness Dental when considering coming to Costa Rica for your dental needs. they have good prices and there are no hidden surprises later. i found it very confusing while searching on line, since there are so many to chose from. I am happy i chose Goodness Dental, since i had a very complicated issue with my mouth and they had the expertise and experience to know how to handle my case. At Goodness Dental – everyone was very professional, but very, very friendly! I would recommend Goodness Dental to anyone! I’m very impressed! At Goodness Dental they are friendly and professional. Above all the work they do is excellent. No regrets at all. I had wonderful time at Goodness Dental. All the wonderful work they did on my teeth. I had implants on upper and lower jars . Doctors are so professional, very caring, gentle and friendly. Loved my experience at Goodness Dental. One of the greatest thing is cost of the treatments – they are significantly less than in US. Love everything! Today is exactly one week since my crazy last day(-and night!) in Costa Rica. The mild discomfort and minor swelling from the implant surgery are pretty much gone by now, and everything seems to be fine. I am very grateful for the kindness shown to me by Vayolla, Karen and Daniel that last day, and especially appreciate Daniel’s skill and willingness to keep working late into the night to finish my crowns so I could leave the next morning. I look forward to returning to Costa Rica this winter. My husband will be with me, and we hope to be able to travel a bit and see more of the country. Many thanks for all your help. My wife Cheryl and I had the all on 4 procedure with Goodness Dental. There was minimal discomfort and we are happy with the results. We would recommend Goodness Dental staff and facilities to anyone. These are very friendly, talented professionals and they do a fantastic job. We’re glad we came here, and we have friends who will be coming here as well. My parents and I all came down for dental work ranging from wisdom teeth to root canals, implants, and even bone grafts. The staff answered every single question we had along the way and even questions we didn’t know we had. Our surgeon, Dra. Zapata took the time to talk each of us through what we would be experiencing and put every anxiety to rest before the first instrument came anywhere near our mouths. As we prepare to return home, it feels like we are leaving family here in Costa Rica. I researched several clinics and Goodness Dental kept coming out on top. The information sent by Dr. Aborn helped alot. Dr. Karen was very helpful and friendly! We could not have navigated to all the appointments and picked up our meds without her! We also laughed allot with her! We arrived on Mother’s Day in Costa Rica, and they got us settled at our hotel and brought us to the office for our exams, even though it was a national holiday. The patient coordinators were here with us and finished the exams, getting us ready for work to begin the next day. it was a long day for everyone, but they were all so positive and helpful. The next few days were busy for us all, but because of their great organization, everything went very well. Everything was so positive. All of our questions were answered as they came up and we never felt like they were trying to rush anything. I was sedated for my extractions and implants. The surgeon and anesthesiologist totally put me at ease and took time with me afterwards to make sure of my comfort as I woke up. They were at my side and very caring through the whole thing. Our dentists at Goodness Dental spent much more time with us than our doctors at home. Each doctor answered every question and concern. Going to the dentist is not a “fun” experience, but I believe they made it come pretty close. Our family was well taken care of and all of our concerns were taken seriously. Time was taken to explain each procedure. When coming from out of country, time is important. The staff and surgeons work really long hours to get all the work done in your available time frame. What really helped being in a foreign country without transportation or language skills was the personal service, with staff going with us to transport us to and from appointments, pharmacies, xrays etc. It would have been far more difficult without this. Everyone at the clinic from the owner to the dentists and coordinator worked very well-and hard to make my experience excellent. Dr. Alfaro was amazing! I have had so much work in the past. None was as careful, considerate and meticulous as Dr. Alfaro. And…he even gave me a ride back to my hotel. Goodness Dental did everything possible to meet my timeline-including working in the evening and on a holiday. Perfecto! I had an excellent experience coming to Goodness Dental. The clinic is very modern and beautiful and the staff are very nice and professional. The doctors were very nice and made me feel comfortable. I loved my experience with Goodness Dental. I never thought that I would say that about a dentist…but I really loved my time in Costa Rica with the Goodness Dental team. I felt so comfortable and at home. We laughed so much, and I felt like i had found a second family in Costa Rica. I honestly did not want to leave. I can’t wait to come back again. I would refer all of my friends and family to Goodness Dental. No other dental clinic even comes close. My experience with Goodness Dental was wonderful. I have not felt any pain. Everybody at Goodness Dental has been incredible. Don’t change a thing. Keep up the good work. I will be referring my friends and family! I finished all of my dental work with Goodness Dental two days ago. I am so grateful for such wonderful care and attention from everyone there. The dentists are very professional and they see so happy every day. The care was incredible the prices are remarkable. I saved so much when i think about what I would have paid for the same dental implants in Indiana. USA. I would not hesitate to recommend Goodness Dental to my friends back home..
We thoroughly enjoyed our time in Costa Rica while we were getting our work done. One of the biggest advantages a patient would have is that Goodness Dental has such a strong relationship with the best dental lab in the country. The dentists were able to consult with the lab techs so that every detail was covered. That was a big bonus! The lab techs made sure all the impressions were exact, which makes all the difference. The doctors were always smiling and were so professional and compassionate. Thank you Dr. Aborn and all of the team at Goodness Dental! I’ll be back. I cannot say enough about Goodness Dental. From my teen years into adulthood I’ve had bad teeth and bad experiences with dentists, Over the years, I have grown to have a have a fear of them. It got to the point that I only went to see them when I was in extreme pain. The years of neglect has taken it’s toll. After a lifetime behind the desk, I was recently asked to stand in front of the camera to be a spokesperson for my company. I knew then it was time to get my teeth fixed. After much research and reading reviews I went with Goodness Dental. I arrived last Monday and was picked up at the airport Jefry. My dental work started on Tuesday with an exam and comprehensive explanation of what was needed and what would happen. they outlined everything for me, which made me feel so comfortable. I felt almost no paid at all through multiple dental implants, crowns, a root canal, a bone graft and other procedures. They were always checking to see if I was in pain and if I was comfortable. I have never received that kind of care and compassion in the states. I am very happy and so glad I chose Goodness Dental. The price was less then half of what I would have paid in the states. My confidence is back and I look great again. Now, I smile wide and laugh with my mouth wide open…it feels good. I would highly recommend Goodness Dental to anyone looking to have minor or major dental work done. From June 19-26,2017 I was under the care of Goodness Dental in San Jose Costa Rica. I found them through Dr. Peter Aborn, who at the age of 71 has decided to stop seeing patients personally after a successful 44 year career in New York City, NY including; practicing senior attending and head of prosthodontics Lenox Hill Hospital Dental Department; Senior Attending Memorial Sloan Kettering and a successful practice in San Jose including being a professor at University of Costa Rica San Jose Costa Rica has recently joined Goodness Dental earlier this year in their Patient Management & Coordinator position. From my first contact with Dr. Peter in May of this year, explaining the work I needed, he listened well and guided me through what would happen, the time they would need to do the work and confirmed estimated costs, unless there were unforeseen circumstances. He gave me a list of recommended hotels and Inns, I stayed at Casa Lima a very accommodating B&B with wonderful Costa Rican influence and a quintessential host. He and his staff transported me to Goodness Dental offices for my appointments at no cost to me, as well as addressing my needs in a relatively unfamiliar environment to me. The Dentists at Goodness Dental were as professional and competent as you find anywhere in the U.S., furthermore they were friendly and compassionate to my needs, explaining every step of each procedure and making sure that I was comfortable at all times. Now, the primary reason I chose Costa Rica, FINANCIAL SAVINGS! I saved from 50 percent compared to the same procedures in the U.S.
What did that mean to me? I enjoyed at least a weeks’ vacation, including the airfare, accommodations, meals and excursions and still it cost me less than if I had the work done in the U.S. of A. If you have need for extensive dental work, I would wholeheartedly recommend the services of Goodness Dental. They (Dr. Aborn) can be contacted toll free in the U.S. at 866-218-1036 or patients@goodnessdental.com. Ever since my dentist in Charlotte told me about bio-dentistry, I have been concerned about the silver and mercury fillings in my mouth. I checked with my dentist for pricing to take them out and replace them with composite white fillings, but the price was way too much. I checked around and found that Mexico and Costa Rica has some good biodental and holistic dental clinics. I still don’t feel safe in Mexico , so I chose Costa Rica. When I researched biodentistry clinics in Costa Rica, Goodness Dental was the most recommended. Dr. Aborn put together a treatment plan that was less than 50% of the price I would have paid in Charlotte. They followed the Huggins protocol for removing the mercury fillings and made sure that the fillings were safely removed. My new white fillings look great. I can’t even tell where the fillings are anymore. They also replaced two missing teeth with ceramic implants, helping me stay metal-free. I am so happy that I found Goodness Dental. They are honest, kind and really care for their patients. I couldn’t be happier with my experience and my new metal free mouth. I have had an embarrassing smile for most of my life. I have bad teeth enamel and over the years, my teeth had begun to chip and crack. About a year ago, I went the dentist in Des Moines, and received a quote of $49,500 for a set of fixed dentures using the all on 4 procedure. I knew I couldn’t afford it, so I stopped looking. While reading an article about dental care in Mexico, I found a link to this site and started to learn about Costa Rica. I received several quotes for fixed dentures using an all on 4 and all on 6. I chose Goodness Dental and am so glad I did. I wish I could give them ten stars…but five stars was a high as I could go. Dr. Peter and Sue were amazing. The entire team was amazing. I now have a beautiful smile that looks completely natural, and I never have to worry about my teeth chipping or cracking again. I had a slight problem with one implant, but they took care of it quickly and without any additional cost. They give a lifetime guarantee on their implants and they stood behind it. I couldn’t be happier with the way everything turned out and I saved 60% when compared to the price of the dental clinic in Des Moines. I chose Goodness Dental because it is the only clinic in Costa Rica with a dentist who is licensed in the USA and Costa Rica. As a New Yorker, knowing that the dentist trained at NYU and practiced in NYC for 20 years made me feel confident in my choice. The team at Goodness Dental, including Dr. Peter, Sue and Dr. Karen took great care of me. I needed several dental implants, and had a short window to complete my care. Another differentiating factor was that Goodness Dental uses only maxillofacial surgeons for placing implants. This was a huge difference for me. The pricing was good. There were some other less expensive clinics that I looked at, but I chose Goodness Dental because it seemed like the right decision. They took great care of me and even gave my husband a free exam, and filled a cavity for him too. During my last appointment, Dr. Karen gave me a guarantee certificate, showing that my dental implants are guaranteed for life. No other clinic was willing to give me a lifetime guarantee in writing. They really care for their patients, and made me feel very special. I referred my parents to come to Goodness Dental when I return in a few months for my final crowns.